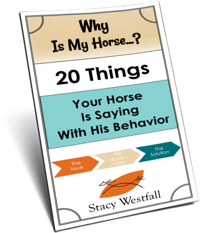 The mental habits we create in ourselves and our horses. The filly entered the arena on edge, expecting to blow off energy. It didn’t matter to her that she was saddled and bridled, blowing off energy during the first 10-15 minutes of a ride was normal. It was what she had done from the first ride. At this point it was part of the routine. It could be the first ride in a month or the 10th day of riding in a row and the filly still expected, or felt required to, blow off steam at the beginning of the ride. 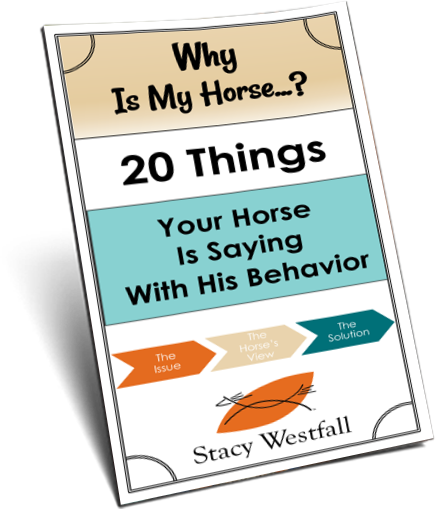 ← How do you teach a horse to lay down so a person in a wheel chair can get in the saddle? That is a hard question. 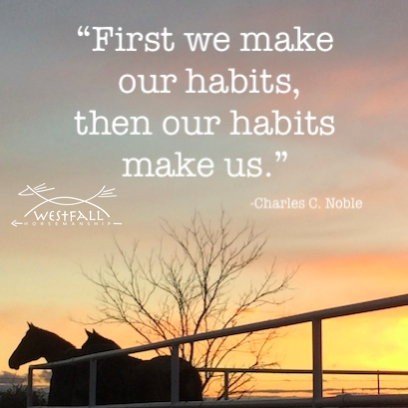 How much of what we do day to day habit or is it really what works best in the situation? Do we think it through and decide what we are going to do or just do what we always have? I have to watch myself and see what I come up with on this. Stacey, you may have already addressed this and I missed.it. I know Roxy was not your horse but could she have been cloned? I have seen one picture of a cloned quarter horse and he did not look any thing like the original. Seems like the experiments with cloning have slowed down don’t see much about it any more. How much like Roxy do you think the foal would have been?